We love our ship. We are aboard Carnival’s Fascination. After dinner our first night, we found this in our room. Soapy Smith Duck had one in his room. Bucket Duck also had one in his room. We feel like we are really on vacation now. 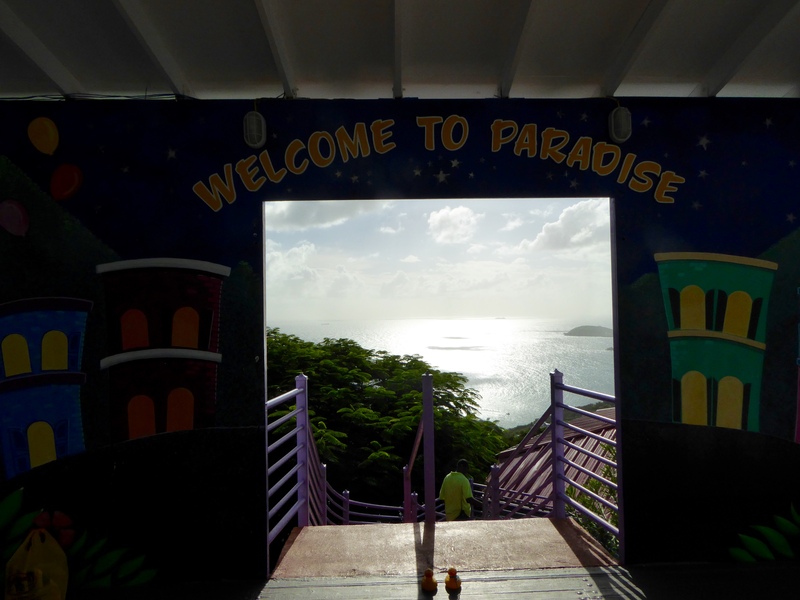 Today our ship, the Fascination, is docked in St. Thomas. 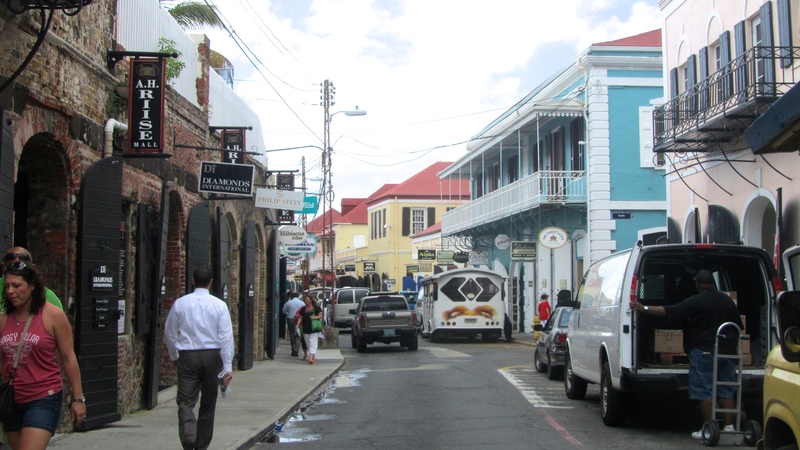 The capital, Charlotte Amalie, is a great shopping place and a major cruise ship destination in the Caribbean. This is one of the shopping streets. 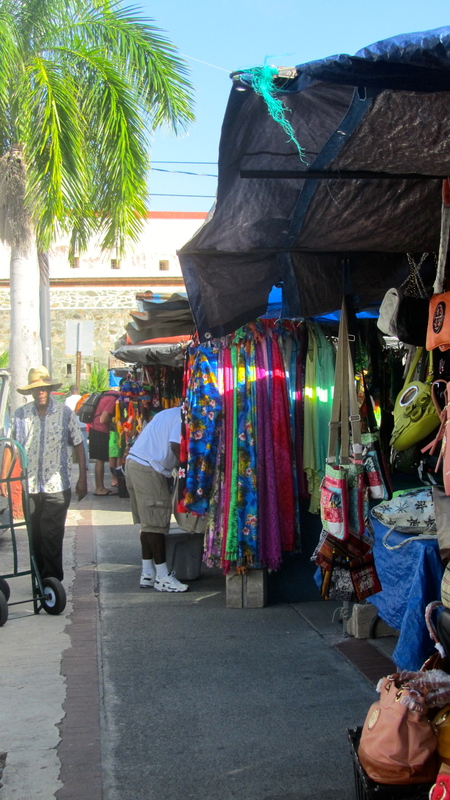 There are also several open market areas. Soapy and I, Zeb, did a little shopping with our moms. 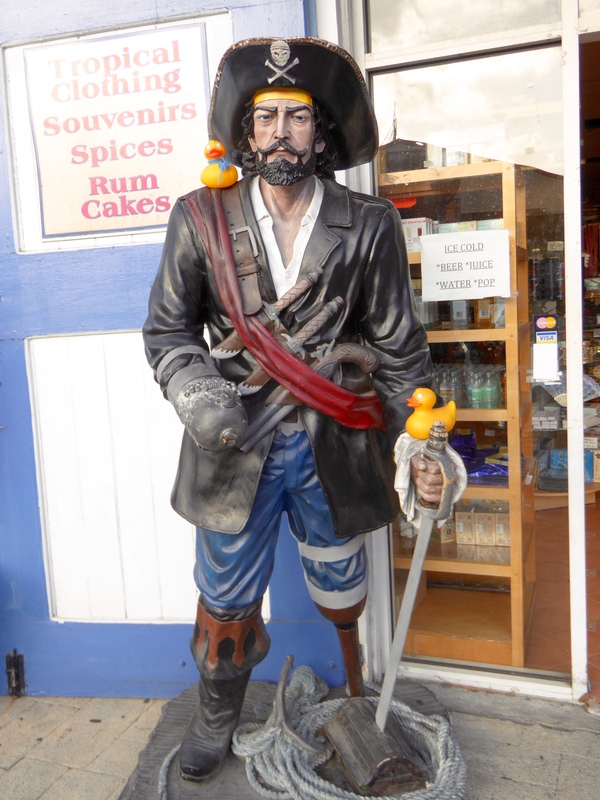 Naturally we want to visit with this pirate. This is a cute place for a snack. 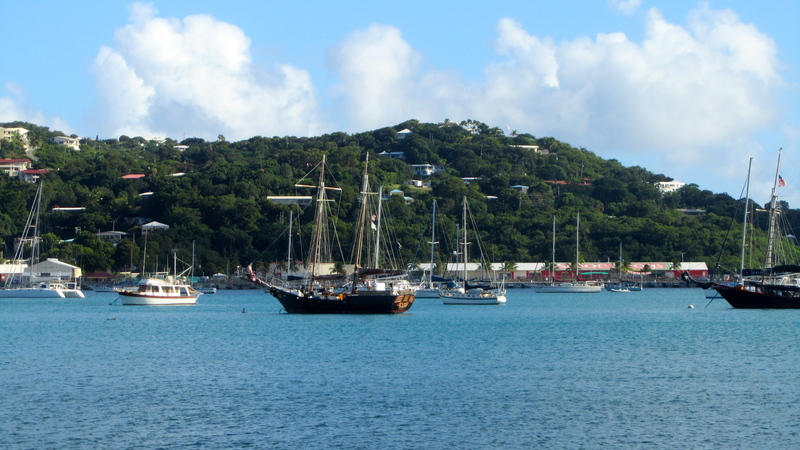 The harbor area is home to many private sail boats. 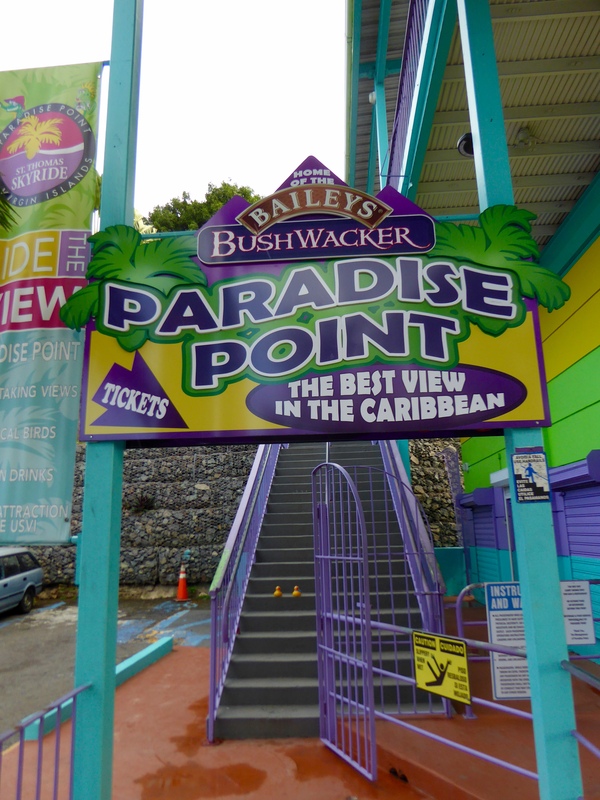 We took the Skyride to Paradise Point. The sky ride is like a gondola at our ski resorts. We go 700 feet above sea level. At the top, we pass through this doorway. What a great place for lunch. That is our ship, Fascination. We learned that it is rare for only one ship to be in this harbor. 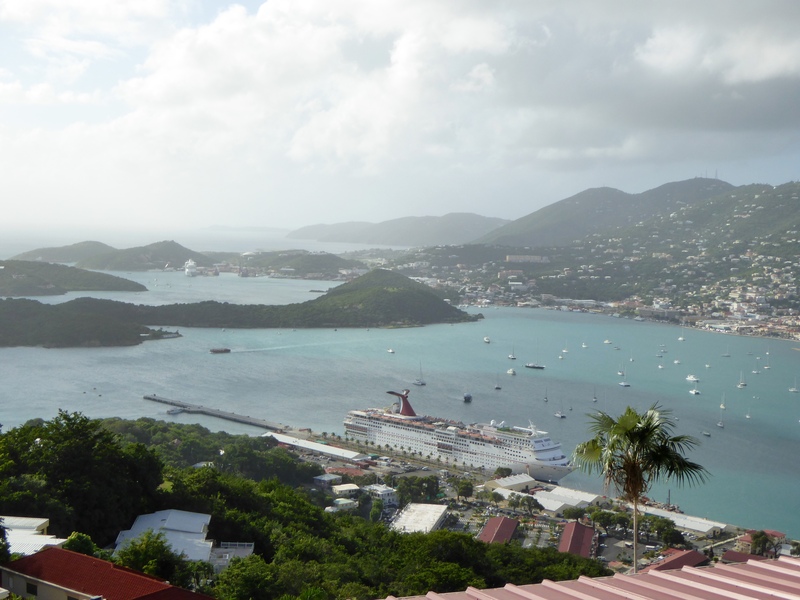 Tomorrow there are seven cruise ships scheduled to be be in St. Thomas. We are glad we are here today with less crowds. 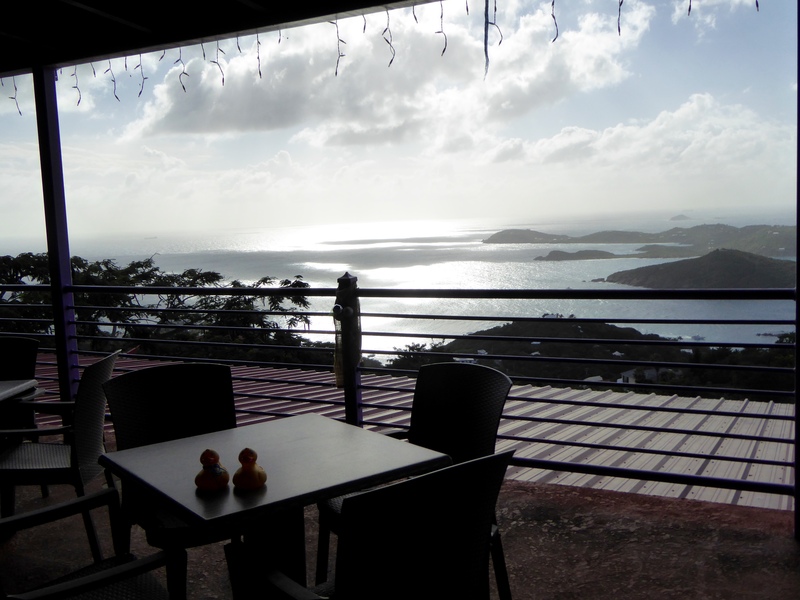 As the clouds arrive and the sun is lower in the sky, we enjoy the view. 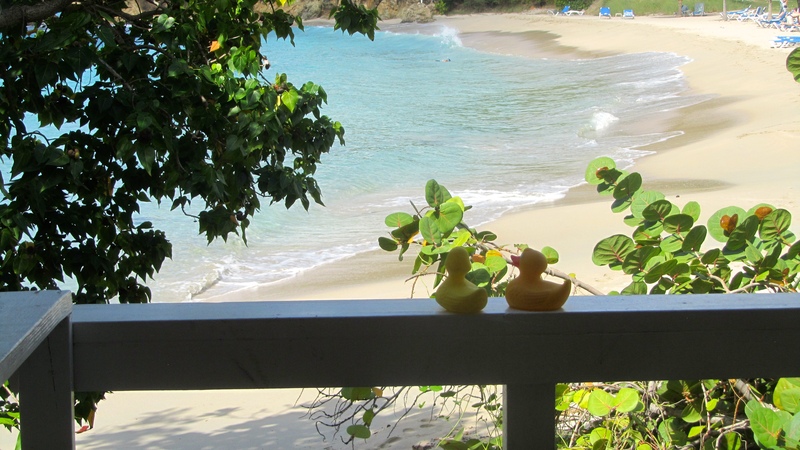 Bucket Duck took a shore excursion with his parents today. 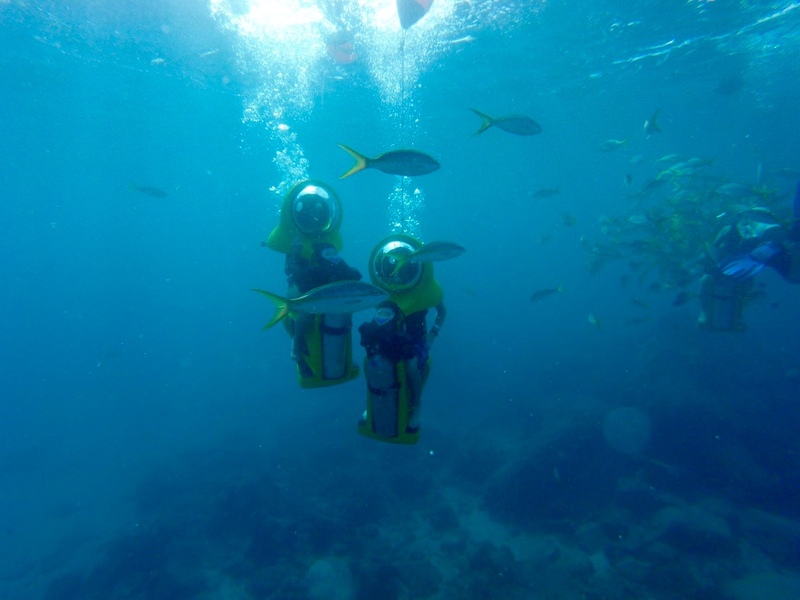 Their excursion is Boss Underwater Adventure. 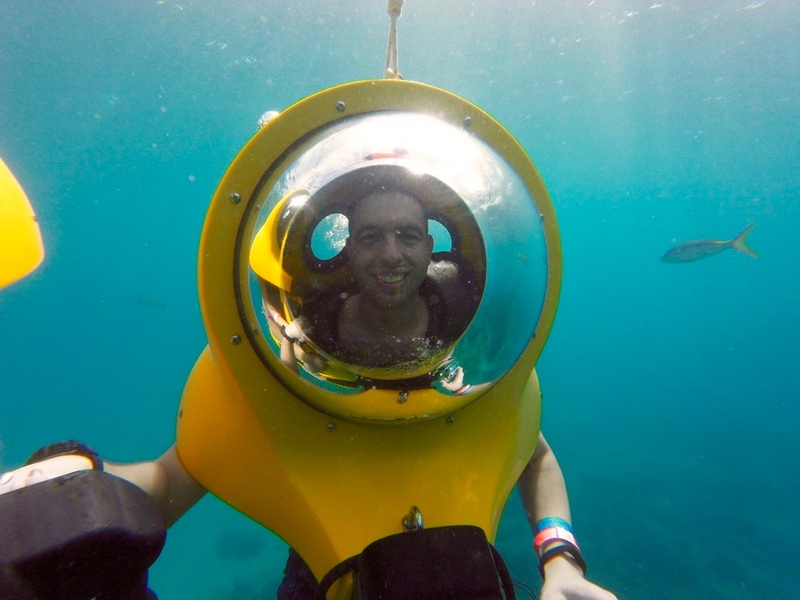 BOSS means Breathing Observation Submersible Scooter. 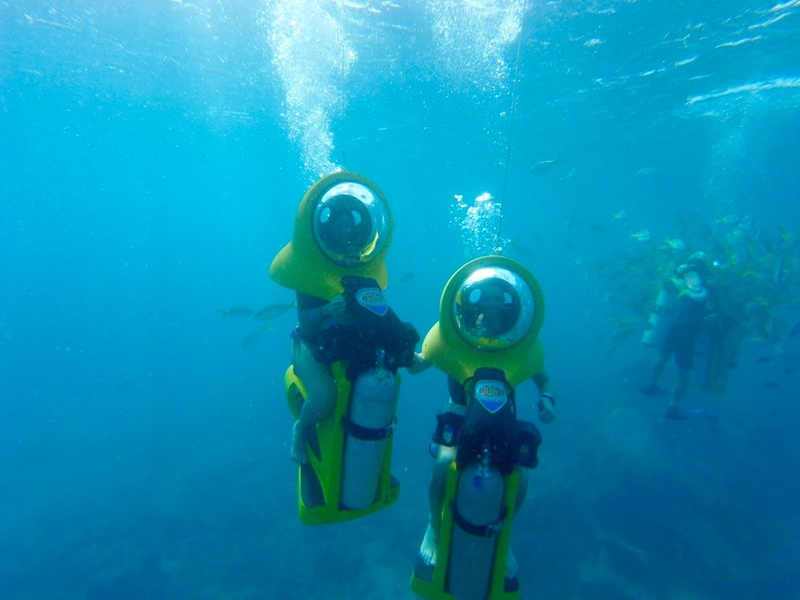 The humans went under water and came up into their helmets. Wow! That is great! They took a 60 foot yacht to the dive site. They ride scooters about 8 feet under water. The fish are right there with them. This is Bucket’s dad. Bucket was there, but they did not have a scooter small enough for him. 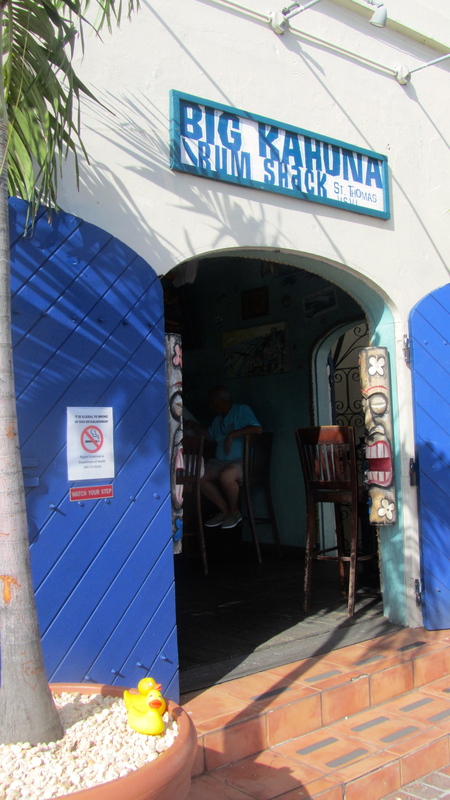 St. Thomas is a beautiful island with many beautiful, small beaches. 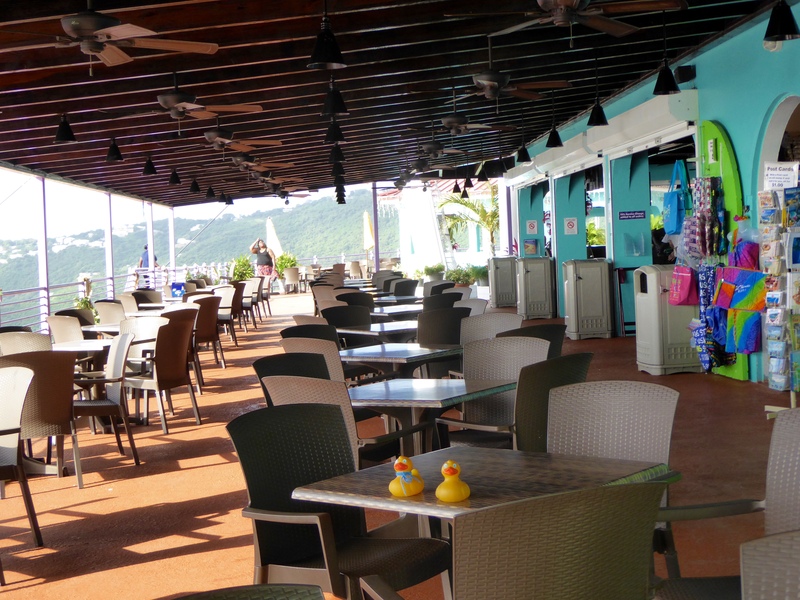 This entry was posted in Uncategorized, US Virgin Islands and tagged Colorado Traveling Ducks, Paradise Point, St. Thomas, underwater scooters. Bookmark the permalink. We are home now, but we definitely did enjoy the sunny, warm days. Thanks for reading and commenting. The underwater scooter looks like so much fun. It was new to me. If I ever see it again, I would love to try it. Thanks for reading and commenting. You duckies get around a bit, Sounds great being in the warmth and the water. Our real duck here must be a bit cold in WInter. We love summer. We love warm weather. We love water. 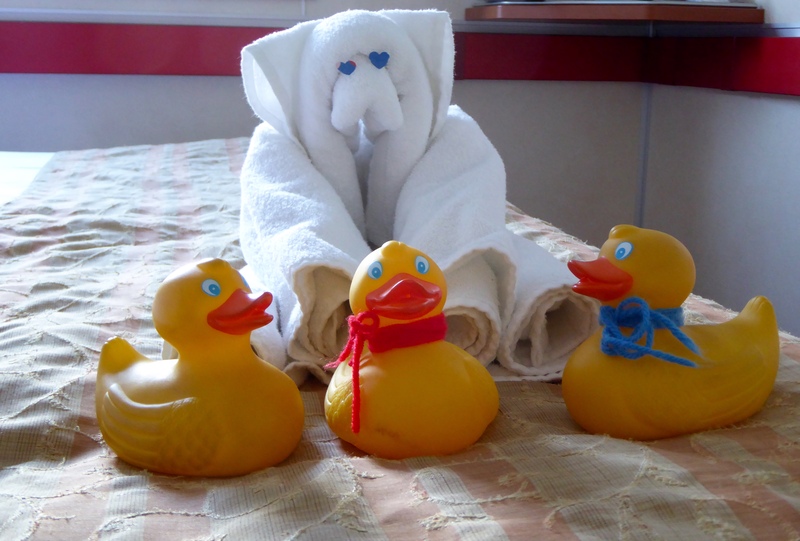 And we now know that like our humans, we love cruises. But we are back home now, and we are like those cold, real Colorado ducks. Rather chilly and watching the snow. Thanks for reading and commenting.